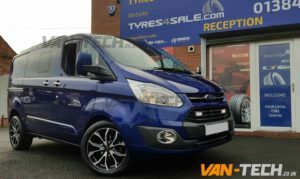 Ford Transit Custom Black Style Side Bars are the perfect combination of great looks and practicality with a stylish finish and are designed for Ford Transit Custom Vans. 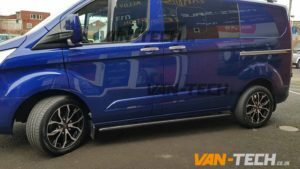 O.E style curved ends that hug the body of the Van they look and feel very similar to the popular side bars made for VW Transporters. 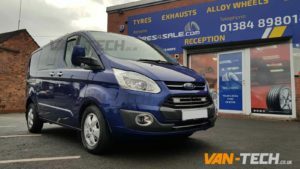 Sold complete with the fitting kit, you won’t need to do any drilling as these fit to the existing original fixing sites on the Transit Custom. 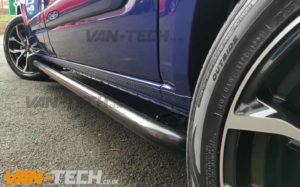 You might see cheaper side bars, but when you buy and fit these you’ll appreciate the solid quality knowing that you won’t have any problems . 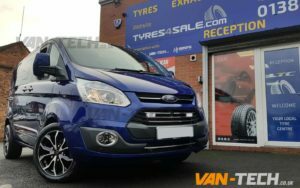 We think these are a true comparison to any other Ford Transit Custom side bars and represent fantastic value. 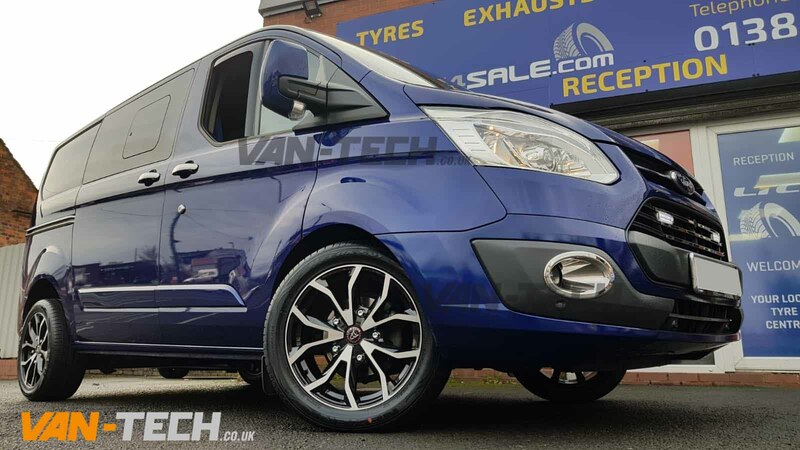 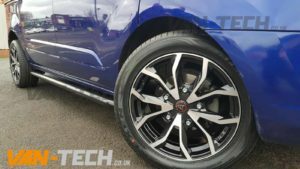 Ford Transit Wolfrace Assassin TRS 18″ Alloys Wheels Black Polished, one of our most popular wheels the new Wolfrace Assassin TRS, this wheel is ideal for Ford Transit Vans. 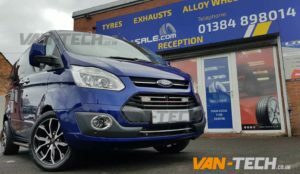 Van-Tech Supply and fit accessories for VW Transporter T4, T5, T6 Ford Transit, Vauxhall Vivaro, Mercedes Sprinter including Side Bars, Roof Rails, Alloy Wheels, Bumpers, Splitters, Curtains, Spoilers, Head Lights and much more. 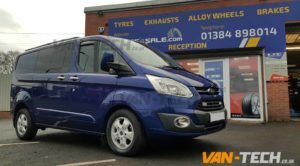 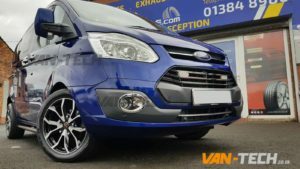 Check out these before and after pictures of this Transit to see what a difference a set set of wheels could make to your van.